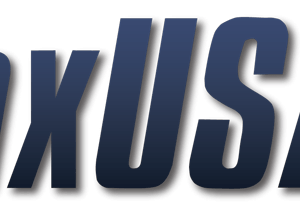 FreeTaxUSA Coupon Codes -April 2019 - 25% Off Tax Returns! A State Tax Deal you will love! All Tax services under one roof! Every Tax venture under one website. Visit Now! File your free return Today! Founded in 2011, FreetaxUSA is an online tax service company that helps taxpayers prepare their taxes. The founders of FreetaxUSA are a CPA and a group of software developers. FreetaxUSA has over 150 employees all based in the United States. Another important fact about FreetaxUSA is that they are an original member of the IRS Free File Alliance. FreetaxUSA accommodates anyone in the US, no matter where you work and what you do. With FreetaxUSA, customers get to choose a list of tax services they offer: Deluxe Service, Extension Tax Filling, Self-Employed Tax, Military Tax, State Tax, and 1099 Taxes. Apart from that, they have wide coverage. Their services reach 42 states in the United States, from Alabama to Wisconsin. With the Deluxe Service, customers will only be charged $6.99. This service offers customers with more assistance and ideas on their tax situation. For instance, customers have access to tax specialists through live chat. The tax specialist will give customers more insights and assistance specific to their particular situation. This is consistent with FreetaxUSA’s promise to give priority to those who choose the Deluxe Service. On top of that, with the Deluxe service customers are given personal audit assistance. You never really know when you might receive an audit from the IRS. FreetaxUSA’s auditing team of specialists will be there to help you if this happens. The team of specialists will help prepare customers for the audit and provide them options they can choose from if they owe the IRS some money. Please note, however, that customers would need to e-file their federal tax return before they can make use of the auditing assistance. Another very positive note about FreetaxUSA’s Deluxe Service is that you can make amendments to your tax files. This is unlimited and free of charge. FreetaxUSA is authorized by IRS which makes it safe for customers to file taxes with them. FreetaxUSA has safely taxed millions and millions of tax returns. They have a lot of security features to give reassurance to their customers. FreetaxUSA applies data encryption and secure IRS transmissions. Even more, verifications are made via TRUSTe, DigiCert, and SecurityMetrics. Along with their active account monitoring, customers’ safety is guaranteed. The first thing that customers need to do is to go to FreetaxUSA’s website and file their taxes. After choosing a filing method and filing the taxes on FreetaxUSA’s website, the next step is to check out. By checking out, customers are given the chance to review their filing to make sure everything is in order. Customers can also select the type of service they want to include, like the deluxe service. After customers have checked out they are taken to the payment page. Customers are given a field to enter the coupon code. After entering the coupon code, customers can see the total amount they need to pay which includes the applying of the coupon. The method and duration of the refund depend on the customers’ type of payment method in e-filing your tax. If customers made a direct deposit, customers will typically receive their refund in 7-14 days, but may actually take up to 21 days depending on some conditions. Meanwhile, for customers who filed their tax without direct deposit, it may take longer, 3-4 weeks. If customers, however, mailed in their tax file, it makes up to 6 weeks or even longer. For customers’ convenience, IRS has a “Where’s My Refund” feature on their website. On that feature, customers can check the refund status on the day they filed a refund and up to 4 weeks after. After that, customers can reach IRS by giving them a call through their TeleTax phone number. Contacting FreetaxUSA is easy. On their website, they have a support tab. On the support tab, customers can choose between customer care and my support issues. With the customer care option, customers can get in touch with the support team in 3 different ways: online web form, email, and live chat (for deluxe service only). Another way to get in touch with FreetaxUSA is to go to their social media accounts. They are registered on Twitter, Facebook, and Youtube.